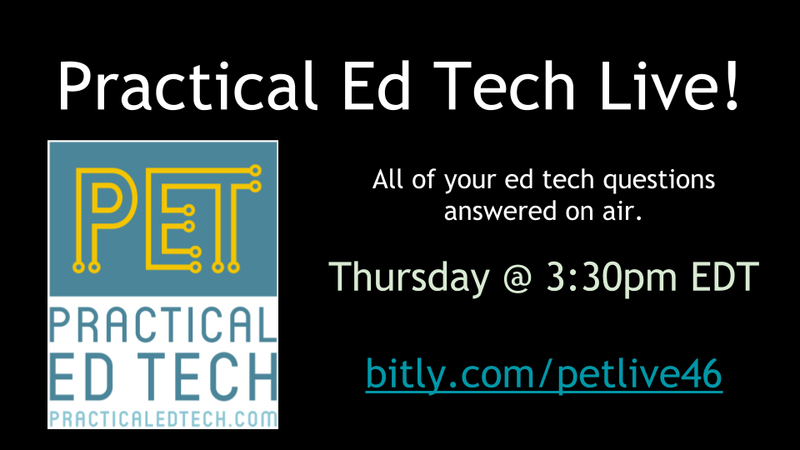 After taking last week off to deal with an injury and some pressing personal matters, I'm now ready to host another edition of Practical Ed Tech Live. Join me on my YouTube channel tomorrow at 3:30pm EDT. You can join me on my YouTube channel or on the Practical Ed Tech Facebook page. I'll answer your questions live as they appear. I'll also answer questions that are sent to me in advance via email or Facebook.